The Sun is shining and the mercury has climbed into the thirties, that’s all I need! Time to wader up and get on the water. I leave the boat at home this time of the year as I really think there is a big advantage to being able to check multiple spots this time of the year. Boat access is still somewhat limited. The Box Canyon is not accessible by vehicle, but you can drag a raft down if you want to float. The Boat access at Ora is also a no go, however keep an eye on the Ora access as the temps come up. It won’t be long. Getting a boat in at the Vernon access is still a bit of a chore but getting out at Chester as of today is no problem. You can also get in below Chester and taking out at the Fun Farm is no problem. The Warm River access can be a bit of a challenge this time of the year. Putting in is not bad but the take out will require a four wheel drive and some rope. It’s always a good idea to check out any access this time of the year as things can change in a matter of hours this time of the year. Remember to read the signs at the Seely’s access. This is not a PUBLIC ACCESS. It’s private land and can be taking away from us at any time. The rules are simple. 4 vehicles, a truck with boat counts as two. If the parking lot is full then come back at a later time. There are signs posted everywhere as to where to park, how to park and to sign in. I get very frustrated when I go down to Seely’s and see folks disregarding the rules. Bill Fuchs, the owner is a great guy. All he ask is the rules be followed as his land is a working ranch. So please follow the rules at Seely’s. The box has been fishing very well this week and should just continue to improve. 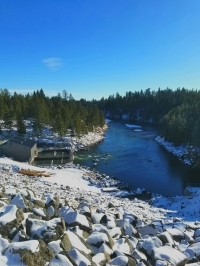 Bring your snow shoes or cross country skis if you’re going in at the dam. As the weather warm the snow will soften, making getting in and out a bit of a challenge. Go armed with the usual Box Canyon selection. Beads and rubber legs. I would make sure to have cocktail nymphs and olive zebra midges. I would have both those patterns in #18 and #16. I would also have some #16 Griffith gnats with you. 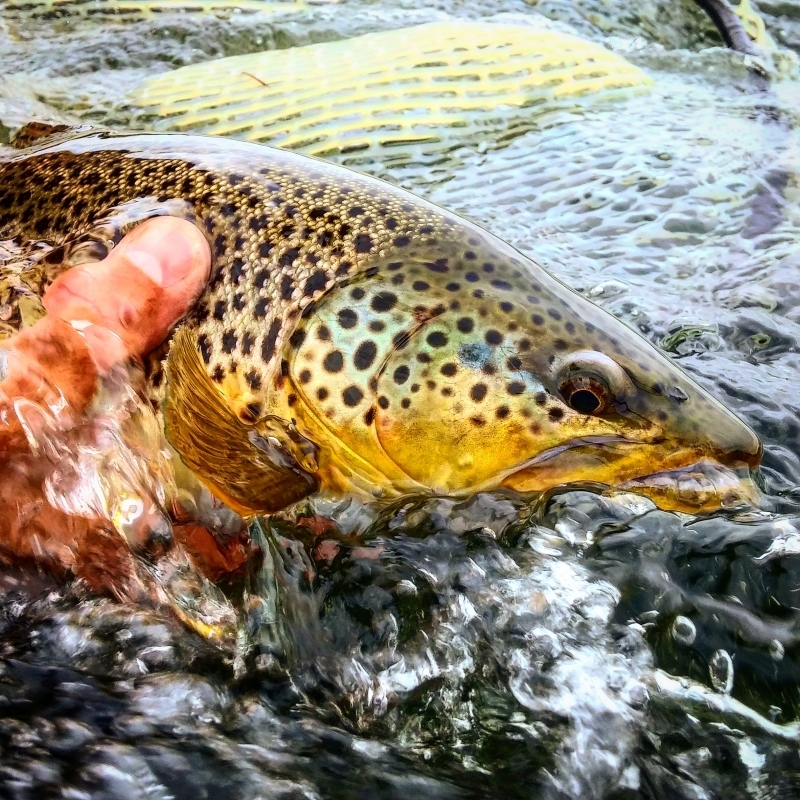 Poking around in the Buffalo River can also be fun this time of the year. 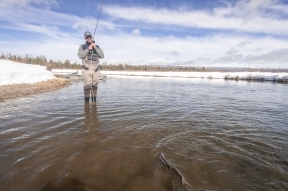 The warmer water temps of the Buffalo can provide hours of consistent dry fly fishing. If you find yourself in the Buffalo River this time of the year make sure you have some blue wings with you. A #16 no-hackle can keep your rod bent this time of the year. Look for both midges and blue wings on the lower river. If you happen to hit the water on an overcast day then make sure you have some streamers with you. I like to have plenty of small beads heads with me this time of the year. Zebra midges in both brown and olive are a good choice and I would also have some tungsten electric caddis. You can never go wrong with #8 brown or black rubber legs. Watch for rise rings during the heat of the day. 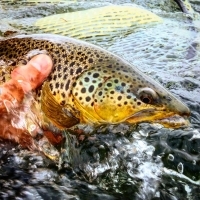 The best dry fly fishing will be from noon until about three on most days. The Madison is really fishing well. On the right day the midge fishing has been great. There is no need to be on the water until about 11:00 am. The wade section can really be fun this time of the year. It can get a little busy on the weekends but if you’re willing to do a little walking you can usually find some water you can have to yourself. I would have #8 and #10 brown rubber legs. I found skwalla’s this time of the year moving around on the Madison and have done okay in the past with a #10 olive chubby. I would also have some of your favorite midge patterns with you. Don’t forget zebra midges. The South Fork of the Snake has been on the rise this past week. The current flows are 6,800 cfs. I would guess that this will be the trend for the next while as the weather warms. 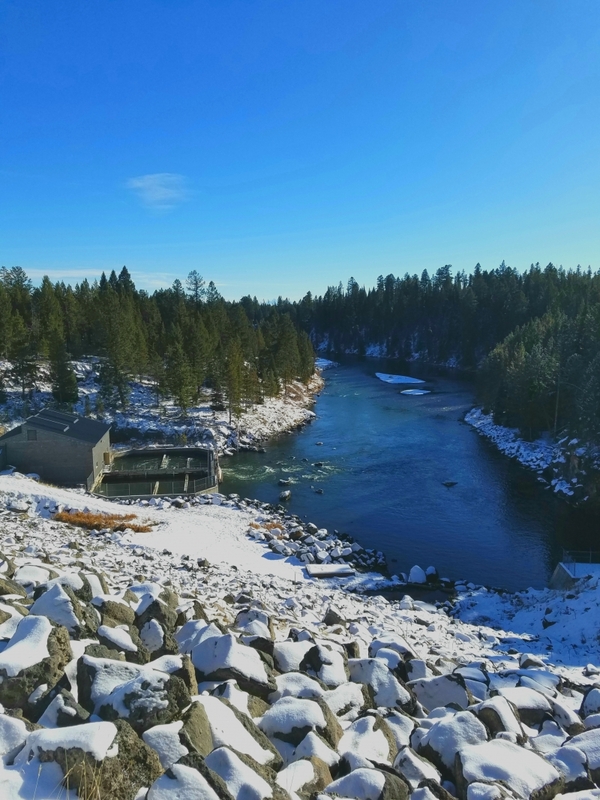 Palisades Reservoir is near capacity and it’s the time of year to send water down river. I would keep an eye on the flows. 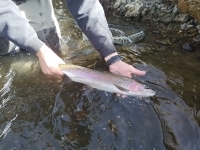 Once flows become stable the fishing should get good. I would have the same patterns I have mentioned above.